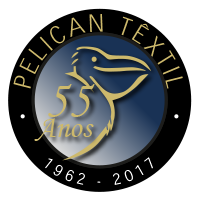 A company with 55 years of history, market leader and largest industry exclusively dedicated to the production of plush and synthetic fur in Latin America. Our peculiar processes and high technological standards guarantee our lines the best finishes for the markets of toys, clothing, shoes, accessories, fashion, cleaning products, decoration, pet shop products, mops and many others. Intense research allows the continuous development of new products, colors, heights, prints and effects always connected with the new trends. Get to know about our products and services and discover how Pelican always has an innovative solution for your business. Pelican Têxtil: plush, synthetic fur, fake fur, hi-pile fabrics, sherpa, velboa.